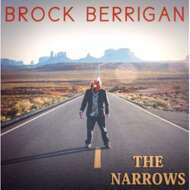 Ten months in the making, I am proud to present my new album "The Narrows". I went to Utah and hiked around canyons for a month and got inspired to create this album. Tried to put a little of every style I've done so far and branch out into some new territory. This record was an incredible journey to make and has destroyed many brain cells in the process, but I am beyond pleased with the final product. As I always tend to say with each album release, sit back, grab a drink, turn it up, and enjoy.